The Decent Platform trustfully transmits digital content anywhere in the world, while Full Cycle Energy has a proprietary technology that creates natural gas from waste. It will soon be funded via a Security Token Offering (STO). 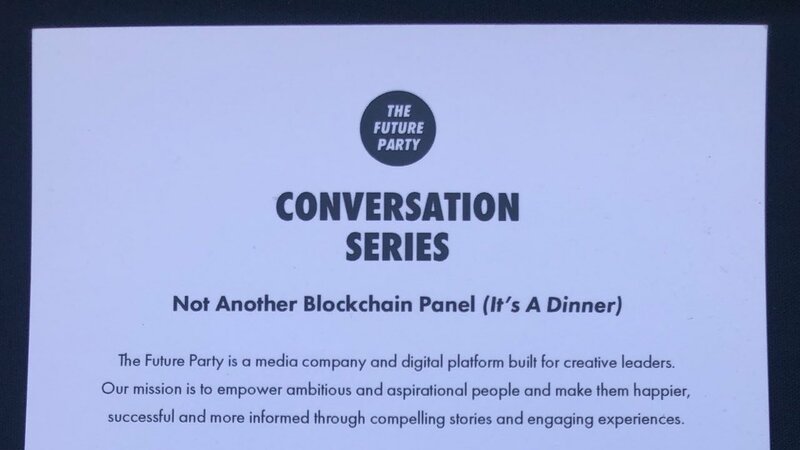 Not every Future Party event will focus on the Blockchain, but a number of their events are Blockchain adjacent and may appeal to the Blockchain enthusiast. Their prior event focused on Digital Identity where topics relevant to the Blockchain were discussed, including digital goods (CryptoKitties anyone?). Their next event will center around eSports and the Future of Gaming, so keep an eye out for that in August.